Five of Durban’s finest sailors have been elected as Flag Officers for the Point Yacht Club for the next sailing season, Kevin Bingham has the honour of being the Vice Commodore, helming the club, Craig Millar, Rear Commodore for Keelers is Ron Pet and Myles White becomes the Rear Commodore for Dinghies, in front Nik Albert retains his title of Rear Commodore for Youth for the Point Yacht Club. The Point Yacht Club has a new helmsman, Round the World sailor; Craig Millar has been elected as the new Commodore for the Durban based yacht club. With an extensive competitive sailing CV; Millar has numerous awards, both in South Africa and internationally competing in Hunters, J22 and Solings. His most triumphant sailing achievement would be when he was the skipper for the Durban entry in the 2005/2006 Clipper Round the World yacht race, where together with his crew they came second overall. “It is a great honour to be bestowed with the title of Commodore. I sincerely hope to share and grow the phenomenal sport of sailing, and encourage more people to come and be a part of it.” encouraged, Millar. Second in Command, Kevin Bingham will fill the role of Vice Commodore, Millar’s right hand man. Bingham has earned his stripes being a frequent Race Officer for dinghy racing most Saturday afternoons either in the bay or offshore. His CV boasts SASCOC Protea Colours for Sailing Management, Optimist World Champs team manager when they travelled to New Zealand in 2011; Past Chairman for SAS KZN and Past President for the SA Optimist Sailing Class and to round it off; he is a recognised SAS Provincial Race Officer as well. “I am extremely lucky to be supported by a man of Kevin’s calibre as well as the experienced and highly competent team of Rear Commodores.” concluded Millar. 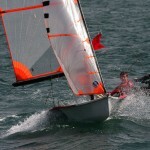 Joining him will be Myles White, who is in charge of the smaller boats and takes the role of Dinghy Rear Commodore. White has over 4 decades experience sailing in Durban, preferring the exhilaration of racing in his Flying Fifteen. 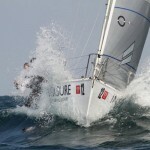 White has experience in all aspects of sailing, having competed in long distance racing, round the cans racing, and more recently favouring dinghy racing. “After something like 40 years of membership I have now completed my first year on any Club Committee, and I am looking forward to applying some of the lessons I learned through Round Table and hopefully building on the recent success achieved in dinghy sailing at PYC. My objective is to get more boats on the water more regularly and for people to have so much fun doing it that they keep coming back for more.” enthused an optimistic White at the announcement. 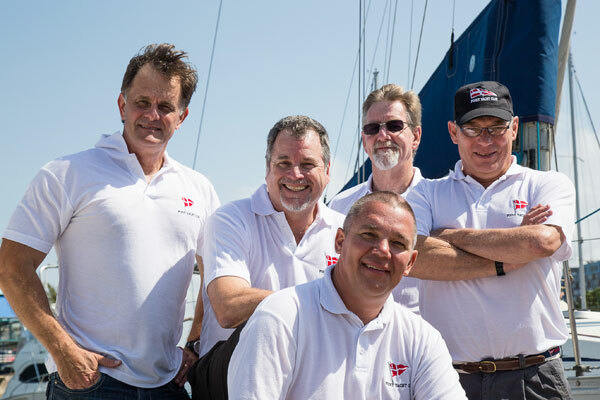 Ron Pet will be looking after the larger yachts with his title of Keeler Rear Commodore; Pet’s love for the bigger yachts is evident with the amount of time he puts in as race officer on Wednesday night’s Twilight Racing and weekend offshore racing. Pet also is the hardworking man behind the scenes for the hugely popular MSC Week. Retaining his position, Nik Albert stays on as the Youth Rear Commodore. Albert is a keen competitor himself in both the Hobie and Flying Fifteen classes. The keen Durban sailor has had a successful term with a number of youngsters coming up through the ranks, representing both Point Yacht Club and South Africa at a variety of events and Albert hopes to grow this. 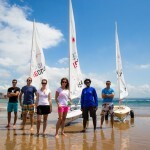 Point Yacht Club has a fine team at the helm for the next cycle, with the recently elected Flag Officers starting to get into the groove of growing the sport of sailing in Durban.